Browsing seed catalogs for spring planting? 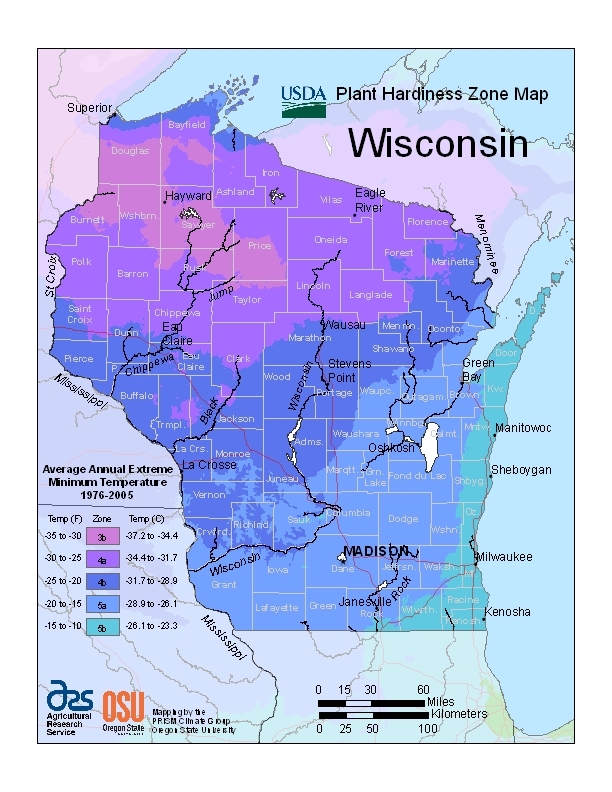 The U.S. Department of Agriculture has a Plant Hardiness Zone Map that shows zones, which are usually indicated on plant or seed packet labels. The zone map has been updated, here's the Wisconsin map, the US map and a link to it online. Link to USDA's site where you can get state-specific maps.